← What Features Are Most Important When Buying (and Selling) a House? In the personal finance world, it’s common to focus on all the small ways you can save money each day. The idea is that small savings add up over time. Cut out that $5 premium coffee from your weekday routine, and you could save $100 per month, $1,200 per year, and $12,000 after 10 years. That really does add up, especially if you toss in what you could earn from compound interest. However, cutting these simple pleasures from your life doesn’t have to be the answer you’re looking for when it comes to your finances. While it’s not a bad idea to be more mindful of your spending so that you aren’t just frittering your money away on things that you will regret having two years down the road, you do yourself a disservice if all you do is look for ways to cut the little things you enjoy from your life. Instead of just focusing on the small stuff, take some time to identify the big expenditures in your life and see if it makes sense to cut back on some of those items. If you thought paying for “regular” cable at about $100 a month was bad, consider what you’re paying for premium cable. In some cases, you could be paying $200 or more per month for access to the movies you watch via cable. Cut that out, and you could see big savings each month. Streaming services like Netflix, Hulu Plus, and Amazon Prime mean that you can spend about $25 a month and get many of the same TV shows and movies. You may have to wait a little longer to see some of your entertainment, but that’s a big savings that you can take to the bank each month. You might be surprised at how few people actually shop around for lower insurance premiums on a regular basis. However, if you are careful about shopping around, you can reduce what you pay every six months. Get a few quotes, and bring them to your current insurance company to see if they will match the lower quotes. If you can save on your health, auto, and home insurance policies regularly, the savings will add up much faster over time. Take precautions, such as driving defensively and taking care of your health so that you avoid premium increases related to risky behaviors. If you haven’t refinanced to a low interest rate, you could be missing out. About a year and a half ago I refinanced my house. I save $300 a month as a result of the decision to refinance. This has been a big help to my finances, and it’s a big monthly savings that really matters in the long run. Even after paying the fees associated with the refinance, I’m still well ahead. And the longer I’m in the house, the further ahead I get due to interest savings in the long run, as well as to what I save on my monthly payment. Transportation costs often rank high on surveys of household spending. When you drive a lot, you spend money on gas, and you have to pay for maintenance on your car. Reduce the amount that you drive, and you could save anywhere between $100 and $300 per month, depending on how much you drive now. Plus, there are other benefits. Using public transportation, or biking, can boost your health while at the same time reducing pollution. By look at the big stuff, you can save money each month without sacrificing some of the things you enjoy most. It’s true that you probably don’t need that latte every day, or to buy another book. But these things enhance your life. If you refinance your home so that you save a couple hundred dollars each month, you don’t have to cut out a daily treat that keeps you going. Or, perhaps, you cut back to twice a week instead of getting your coffee each day. 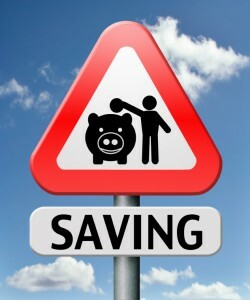 In any case, make sure you invest your savings in a way that results in earning compound interest on what you save. That will multiply the effect, and keep you well ahead of the game — even if you still do make the occasional frivolous purchase. Most of the small stuff is actually ‘bad habit’ and it helps keeping it in check, so that we can save more. Sure, a latte now and then is not an issue, but, when you’re losing tens of bucks/day (lattes, lunches, maybe some drinks, smoking etc.) you’re making a huge dent in your savings or debt payment plan. This is why it’s a good idea to keep an eye on them. Sure, it does make more sense to save more on the big stuff, but for me both are of the same importance. I used to ignore the ‘small’ stuff and couldn’t make ends meet every month. While I think cutting out the small things can really add up, I think it’s wild when people spend so much money and effort trying to save a couple bucks, but then totally pass up an opportunity to save hundreds or thousands with some bigger picture savings! We make it easy for ourselves and just try to cut back on both the big AND small stuff! 🙂 The big AND little wins all add up to more than just one or the other. The big stuff also tends to have more knock-on costs than we realize. More expensive car? High insurance premiums AND more gasoline. The same goes for a bigger house. Refinancing your mortgage can be a royal pain, but the savings can literally put thousands per year in your pocket! Great article! It’s much more helpful to pay attention to the big purchases and save on them. The small ones will creep up if you’re not careful though. We cut our cable years ago and it’s one of the best decisions we have ever made. Great example of how to apply the Pareto Principal (aka 80/20 rule)toward saving money. Instead of cutting the 80% of your expenses that provide the most pleasure, focus on cutting the 20% that come with the biggest pricetag. Great post!